Tawee is a leading light in the Thai contemporary art scene. A bachelor of Fine Arts from the prestigious Chulalungkorn university in Bangkok he is president of the Hua Hin artist group and of Hua Hin artist village. He participated in many exhibitions both in Thailand and Saudi Arabia. 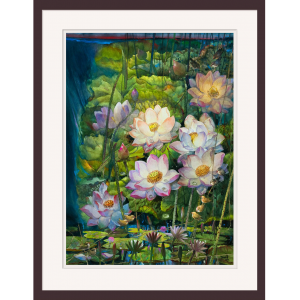 overseas, notably in Taiwan and Recently one of his lotus watercolour was auctioned in Bangkok for THB 2,000,000 (CHF 58,000). 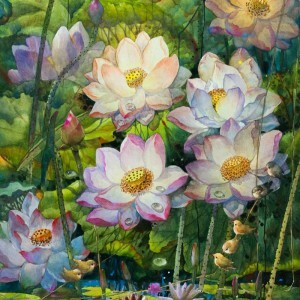 Professor Tawee work is very much in demand by many collectors the world over and prices for his art keeps escalating.